10th Annual Live Free or Die Laughing New Years Eve Event! 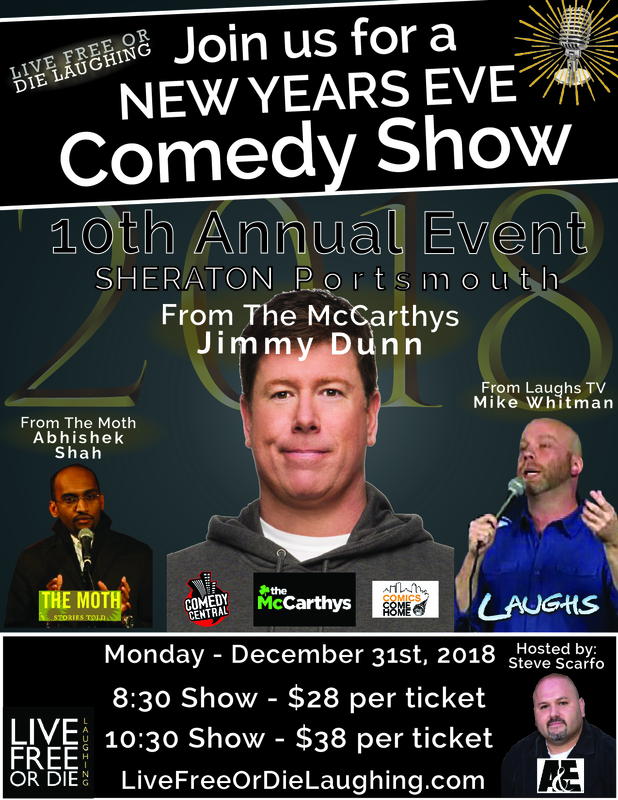 Join us for the 10th Annual Live Free or Die Laughing New Year's Eve Event at the Sheraton Harborside Hotel in Portsmouth, NH. This year we have an Amazing Show! As always we will be offering two great events. The first show is 8:30pm and tickets are just $28! Doors will open at 7:30pm for an 8:30pm show time. The late show is 10:30pm and tickets are only $38 and include a champagne toast at midnight! Doors will open at 10:00pm for a 10:30pm show time. Don't miss out - these shows sell out every year!